which gives a strong indication that industrial property strengthening returns and increasing scale of distribution centres and warehouse facilities is satisfying the strong investor appetite with total investment returns achieving a post GFC peak of 11.7 per cent. Malcom Tyson, Managing Director of Industrial at Colliers International said new industrial facilities across the eastern seaboard are 33 per cent bigger than they were in 2010 with national average floor space increasing in scale due to occupiers competing for the most efficient model. “Growth in the floor space is affected by the relentless drive for efficiencies, e-commerce and growing demand from population growth. Occupiers are consolidating their operations into larger facilities to reduce overheads, centralise stock and streamline transport flow,” said Mr Tyson. “The average size of a new facility nationally is currently 13,972 square metres with the sizes forecasted to continue to grow for all major cities apart from Perth. Melbourne leads the pack where an average size of new facility is now 19,555 square metres , the biggest it has been in 5 years. For investors, the industrial market continues to hold its place as a market leader as the total returns hit a peak of 11.7 per cent ahead of other commercial sectors, with retail at 11 per cent, while office returns come in at 9.6 per cent. “Investors are attracted to industrial property’s strengthening returns because of its structured income, strong covenant and low associated risk,” Mr Tyson said. There has been mounting pressure on institutions including Goodman, Australand, Dexus and Charter Hall to deliver strong returns, with substantial funds flowing in from investors locally and offshore, which have supplemented expendable resources. The response by institutions has been to develop purpose built warehouses and distribution centres for pre-committed occupiers. “Analysis of Colliers International and Cordell’s databases shows that in 2014 over 1.6 million square metres of new industrial floor space is expected to be added to the capital city industrial markets,” Mr Tyson said. Sydney is currently leading the supply additions, boasting 639,251 square metres . Melbourne follows Sydney, delivering 454,906 square metres , with Brisbane not far behind as it offers up 383,990 square metres . Mark Courtney, Director of Research at Colliers International said the investment sales volumes have been consistent at about $2.6 billion in recent years, with the 2014 full year figure set to rise well above this. “Institutions continue to be a dominant investment class, making up 53 per cent of all purchasers by total value of investment sales in 2014 year to date, compared to 65 per cent in 2013,” Mr Courtney said. 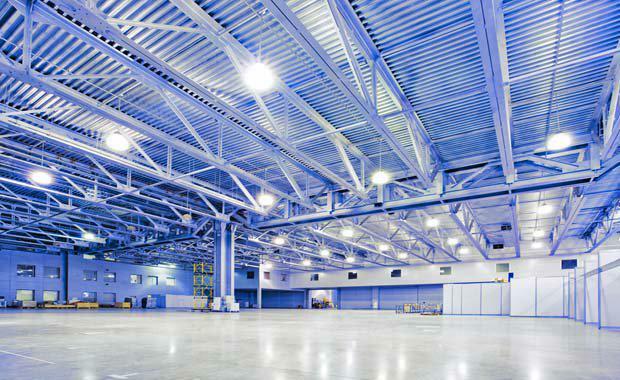 “For more than a decade, the key driver of investment funds into industrial property has been the occupier demand for storage distribution centres and logistics floor space. "If this fact holds and the developers don’t get too far in front of the supply curve, it is highly probably that industrial market will continue to provide a safe and steady investment return and perform well, particularly in low growth environments," he said.